A sloth at the Brookfield Zoo. BROOKFIELD, Ill. (WLS) -- The Brookfield Zoo has an offer that parents might find difficult to refuse. Starting Monday through Wednesday, the zoo is offering free admission to children age 11 and under. Adults still have to pay to get in. Amita Health is sponsoring kids' activities at the zoo, and kids can go inside an ambulance, see a performance by Emerald City Theatre, meet some of Brookfield Zoo's animal ambassador and take home a memento. 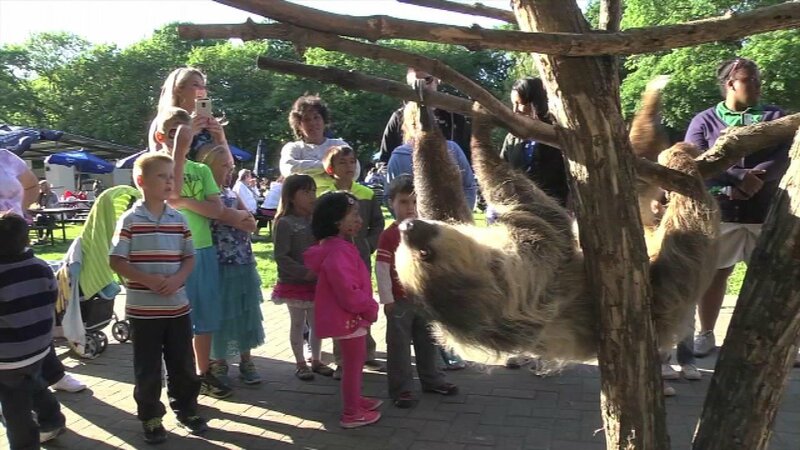 On Kids' Free Days, Brookfield Zoo is open from 9:30 a.m. to 6 p.m.